We try to make healthy food choices, not just for ourselves but probably more for our daughter and second baby-to-come! Yes, I’m pregnant again so in a few months Janne will have a brother or sister! It’s summer holiday here in the Netherlands, but Janne wasn’t aware of that when she woke up at 06:00 this morning… No way that she was going to sleep some more so mommy got out of bed and we went downstairs.. Together we took the opportunity to make us some Zucchini Pancakes for breakfast! 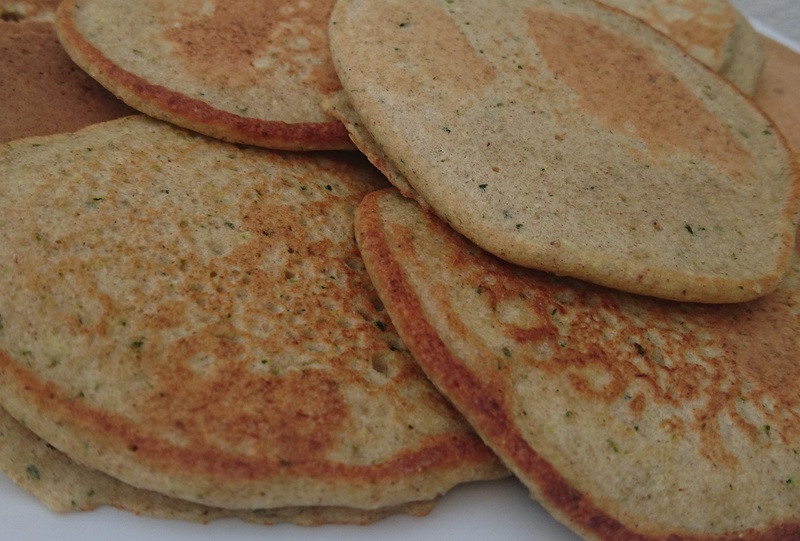 Always nice to start the day with some veggies, especially when they are hadden in something yummy like pancakes! 80 ml milk (use any kind you like) or a little yoghurt and water. Mix the eggs, zucchini and milk in a blender until smooth. Add the buckwheat flour, baking powder and the spices. Mix again until you have a well mixed batter. Heat a little oil or butter in a pan and add 1/3 cup per pancake in the pan. Flip them over once they are solid enough and when they have a nice color on one side. Bake the other side until it’s nicely coloured as well. Serve the pancakes with some honey, jam, fresh fruit… Whatever you like! 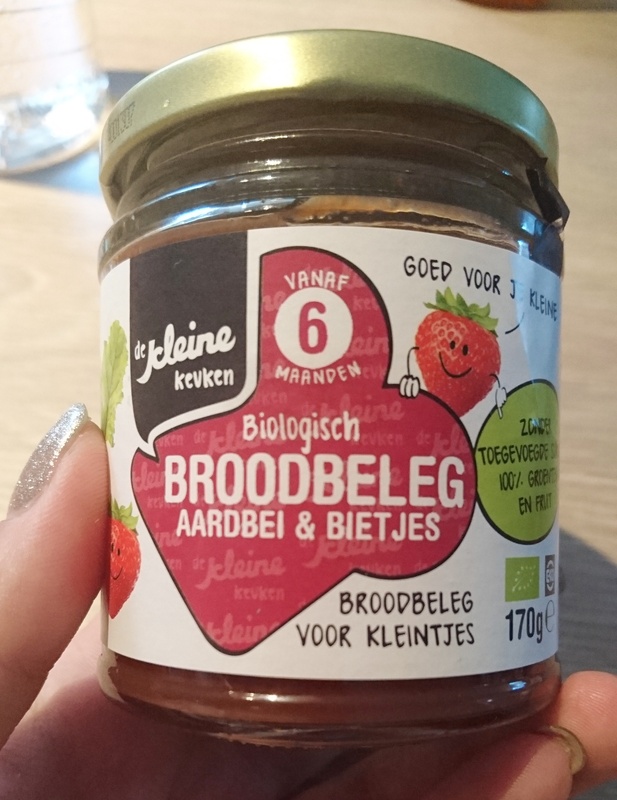 Janne really liked it with a strawberrie and beet jam. 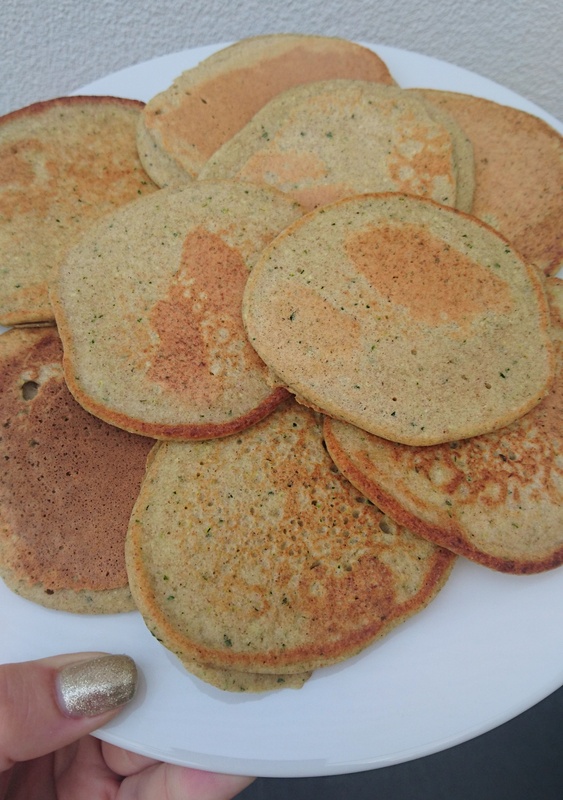 Posted in Babylife, Breakfast, recipesTagged Babylife, breakfast, glutenfree, good food, healthy, healthy food, pancakes, veggies, zucchiniBookmark the permalink.